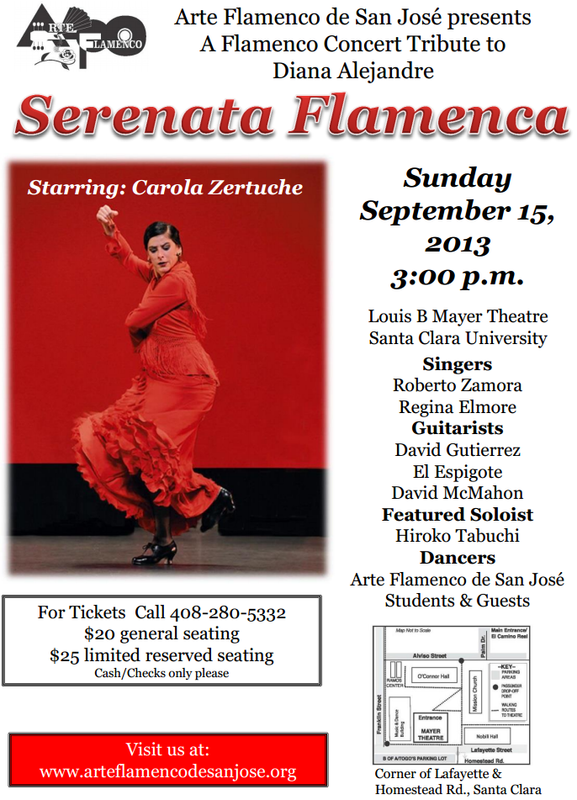 The San Jose Blog: Serenata Flamenca this Sunday! Arte Flamenco de San Jose is hosting their largest event of the year at Santa Clara University's Majer Theater this Sunday at 3pm. Flamenco incorporates multiple cultures and influences, including an eclectic mix of guitar, song, and dance. Come check it out and support local art and culture! For more information, you can have a look at the Arte Flamenco de San Jose Website. Thank you for posting. This will be a great show!